With this chat app you can highly express yourself and it is rendezvous. It is also popular for Group chat and Messaging app. They also have special group messaging and hidden chat. It is known fact that people always take interest in looking for latest mobile chat apps which satisfy user’s requirements. The introduction of new mobile apps in Android platforms are always great for people and one of favorite app would be certainly NuWay – NuWay chat app developed by Sark Mobile Solutions. One could easily keep their number private in using this chat app. 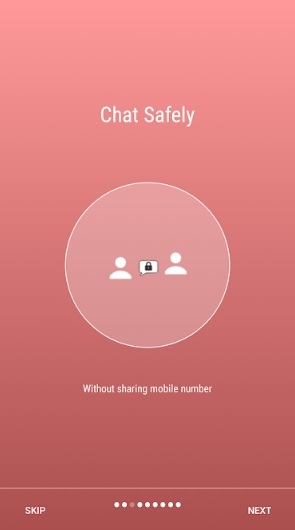 It could also chat by sharing just your NuWay ID, not your phone number. The users could also share and converse with the whole world, safely. They could also have Recall Ping feature where one could type the right ping. Now users have a better chance to recall it. 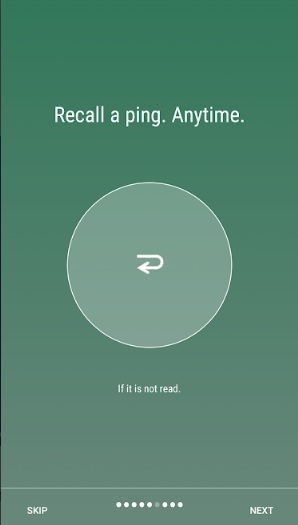 Long-press the ping, press the Recall icon. If Recall is successful, you would see a looped arrow next to the ping. Primarily for checking the status of recall from a group chat, just touch that message and you could see the recall status from each person. By expediently using this NuWay – A NuWay to chat app users could get Routes – know when to start. They could also know the estimated travel time in traffic by selecting the start and destination. It would also enumerate you the 2 or 3 alternative routes, distance and estimated time in traffic. The best part is that you could change the time to know how travel time changes, easily find out when it is least. One could also share their location with NuWay chat app. By doing this process of act it is possible to share your location with a friend or a group, who could then see your position and movement till you turn it off. This good feature makes it simpler to assist your friends meet you if you are outside and not popular with the area. Moreover they could also mark a ping as important, which would then give out a distinct ringtone to the recipient and bring attention that a phone Contact has sent an important ping. In addition you can also have a forward a message, showing that who did the original posting. More primarily what you can do if a Forward for assistance you just received was a Spam from someone unknown or a genuine request? With this special Forward feature, the Nu Way ID of the user who did the original posting is actually retained. It is less likely for someone to start a Spam when they know their ID is displayed. Also if you like to remind a friend or your group on something tomorrow then just send a reminder. It would also ring an alarm at the date and time you set. You don’t have to worry if you would remember to remind on time and if the other person would have network. They are also illustrated that anyone in a group can spontaneously start a conference. Everyone on the group, who is online, would get a call and on answering the call, also get added to the conference. For users it is so facile and convenient to do a conference, specifically at short notice. It is possible to recharge/pay any prepaid/postpaid mobile, DTH or Electricity service simple and fast with our app. For a prepaid number, the users could even recharge for multiple plans in a single transaction or repeat a past transaction with just a couple of clicks. It is illustrated that this good feature supports payment using UPI, Debit card, Credit card and net banking. Besides other aspects if users like to send a ping or attachment to multiple people, they don’t have to copy and send to each separately. Moreover you could also just start a new ping, type the message or select the attachment, press Send and select the recipients. It is also stated that the users can keep their privacy settings and notifications different for your Phone contacts from others with who you might chat for any reason. So in cases if users get that tone or see the LED flashing, you know it is someone who is a contact from your Phone book. With this chat app you can highly express yourself and it is rendezvous. It is also popular for Group chat and Messaging app. They also have special group messaging and hidden chat. You can also come across Opinion Poll and share image features. If users require having a one-time conversation with someone you just met, all you need to do is to share your NuWay ID; your acquaintance could simply find you using that ID and chat. Finally everything is done professionally well as you uncover many key features which just show or enumerate how much care was put into the app during development of NuWay chat app.